Dr. James Forseth is a doctor from Phoenix, Arizona who is specialized in pulmonary diseases. 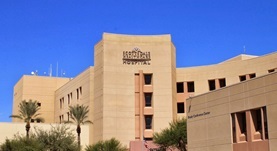 He is affiliated with hospitals in the area, such Scottsdale HealthCare Medical Center, and St. Joseph’s Hospital. He got his medical degree from the University of North Dakota School of Medicine and Health Sciences. He has been in the practicing field for more than 20 years. 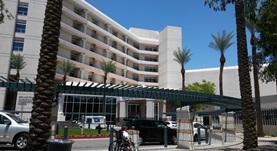 He followed an internship in internal medicine at Banner Good Samaritan Medical Center where he also completed a residency in pulmonary disease. 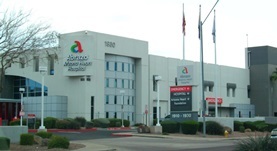 He completed his medical training with a fellowship at University of Arizona College of Medicine-Phoenix. Dr. James R. Forseth has contributed to 2 publications. Balloon-Pump Counterpulsation for Management of Severe Cardiac Dysfunction After Aneurysmal Subarachnoid Hemorrhage. Ducruet, A. F., Albuquerque, F. C., Crowley, R. W., Williamson, R., Forseth, J., McDougall, C. G.; World Neurosurg. Experience with needle biopsy for coccidioidal lung nodules. Forseth, J., Rohwedder, J. J., Levine, B. E., Saubolle, M. A.; Arch Intern Med.